Posted on 2019-02-05 11:33:04 GMT+0000 by Neil Godfrey. This entry was posted in Politics & Society and tagged Common Sense, Democracy, Hereditary Monarchy, Thomas Paine. Bookmark the permalink. Many elected rulers suffer from the exact same problems. A lot of them are from wealthy families and have lived lives completely unlike those lived by most of those they are supposed to represent. Some are from political dynasties, and thus are raised to feel predestined to rule. The wealthy ‘know’ that capitalism is fair and that they deserve to be rich and so have the same deluded self importance. Furthermore, a king may know deep down that he just got into the job by an accident of birth, but an elected ruler has had it drummed into his head that democracy is the greatest and fairest political system ever devised, and so every election victory on the way to the top sends the message of him or her being truly awesome and right in all things, regardless that less than half of the people voted for them and many truly hate them. On top of which, the selection available to vote for is often just two very similar people who few actually like, rendering the whole thing a farce. Ancient Greek: ἰδιώτης (idiṓtēs, “a private citizen, one who has no professional knowledge, layman”), from ἴδιος (ídios, “one’s own, pertaining to oneself, private”). • If idiots (idiṓtēs) are allowed to vote, then idiotic results are inevitable. NB: In the early history of the United States of America (USA), most states allowed only white male adult property owners to vote. “Citizen vs. Civilian (Expanding on Heinlein’s Ideas) – Ars Technica OpenForum”. arstechnica.com. In the book Starship Troopers, Heinlein suggests a system in which only citizens are allowed to vote and the easiest way to become a citizen is to serve in the government/military/public service. The idea behind it is a very solid one, that responsibility and freedom must always go hand in hand, and preferably be as balanced as possible. In his system, the freedom to vote was balanced against the responsibility the veterans had already demonstrated in being willing to serve and risk their lives to protect the system. NB: I am not endorsing any point made above. At the time of his death, most American newspapers reprinted the obituary notice from the New York Evening Post that was in turn quoting from The American Citizen, which read in part: “He had lived long, did some good, and much harm”. “Where are Paine’s remains, and does he have a gravesite? 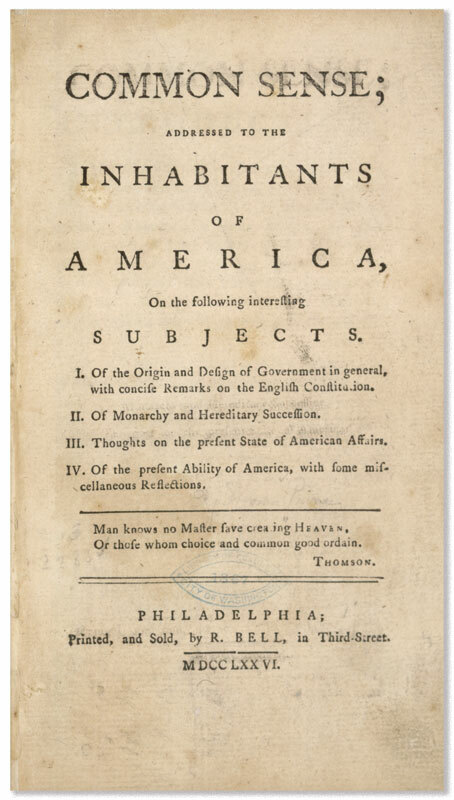 – The Thomas Paine National Historical Association”. thomaspaine.org. Thomas Paine is the only Founder without a gravesite. . . . A Paine admirer, William Cobbett, himself a democratic advocate from England, saw the disrespect Paine received where he was buried and decided to dig him up and take him to England to help spur the movement for democracy there. The problem with democracy isn’t “too much democracy” or that the public has too much influence, it is the opposite. The problem with most so-called democracies is that they aren’t really democracies at all. It seems that the Nordic countries have the closest thing to real democracies (ironically some are officially monarchies). The reality in most democracies, especially the United States, is that the will of the people is heavily undermined. At best the public has minor influence over choosing from a narrow pool of corporate henchmen. Once elected, representatives are overcome by the interests of wealthy donors and lobbyists and essentially just become puppets of the ruling class. No, the problem isn’t that too many people are too stupid to vote and end up making bad choices, the problem is that the menu of choices that the public is given to choose from is dictated by the ruling class and no matter who the public chooses, they are puppets of the ruling class, or end up becoming puppets of the ruling class. There are very few exceptions to this, and those few exceptions aren’t enough to sway the tide of legislation. As your (=db) definition of the Greek word “idiotes” makes clear, the word did not connote our idea of “idiot” but more positively the notion of a private citizen. We were wrongly taught in high school ancient history class that the Greek word was derogatory of persons who had no civic spirit or conscientious interest in public affairs. As an undergraduate studying the Federalist Papers in a course on U.S. history I mistakenly thought the appeal to systems to ensure that the majority did not deny the rights of a minority in the community was nobly about protecting little people like religious sectarians. I failed to appreciate the real concern was the fear that the masses might decide that property ownership should be spread more equitably than the 1% super-rich might want. Meanwhile, neighbours near and far who set out on such a genuinely democratic path needed to be undermined in various ways or invaded and left as ruined disasters as warnings to others. • Per Athenian democracy, I suspect that idiṓtēs included eligible citizens with low incomes, who were to busy working and could not participate in the democracy other than to occasionally vote if at all. Sweeping generalizations are the lifeblood of demagogy. Some monarchs may have fallen into Paine’s caricature, but most did not. Paine, and all the revolutionaries of his time, were unshakably confident that “democracy” would somehow produce superior men, but for the most part, this experiment has failed utterly, the latest President of the United States being only the most striking recent example. I’m not sure Paine or others who advocated divisions of powers and the power of authorities being held ultimately accountable to the public believed superior persons would emerge. I think the whole idea of checks and balances and public accountability exists on the understanding that no-one in any position of responsibility will ever be in any sense “superior” to anyone else, but is no better than anyone else and too easily tempted to do wrong without those checks and accountabilities. This is just one of those times. It will pass. But Trump didn’t fool all of the people. In fact he didn’t even fool a majority of the people. Trump was elected with the support of about 25% of the population, having won less than half of the votes. The majority of people voted for his opponent. The election of Trump is a not a product of democracy, it is a product of an anti-democratic system. A majority of the people wanted neither Trump nor his opponent. Clinton won a majority of the votes cast, but like Trump, she had the support of only about a quarter of the entire voting-age population. Povitkina, Marina (2 March 2018). “The limits of democracy in tackling climate change”. Environmental Politics. 27 (3): 411–432. doi:10.1080/09644016.2018.1444723. Previous research has shown that democracies exhibit stronger commitments to mitigate climate change and, generally, emit less carbon dioxide than non-democratic regimes. However, there remains much unexplained variation in how democratic regimes perform in this regard. Here it is argued that the benefits of democracy for climate change mitigation are limited in the presence of widespread corruption that reduces the capacity of democratic governments to reach climate targets and reduce CO2 emissions. Gardels, Nathan (13 September 2018). “Opinion | Democracy may fatally slow climate action”. Washington Post. Well, yes, but what she’s describing isn’t democracy, its the lack of democracy in so-called democratic countries that aren’t actually democratic. I consider a country actually democratic when the policies of the government reflect the majority policy opinions of the public. When we look at America for example, the majority of people support increased taxation on the super-rich top reduce deficits and pay for public goods. Increased gun control. A Medicare-for-all type publicly financed health insurance system. Strengthening Social Security by increasing the amount that high income receivers pay into it. A reduction of military spending. Increased funding for public education, including post-secondary school, increased environmental regulation to combat pollution and climate change, etc. In poll after poll those positions get majority support and have for years, yet our policy typically goes in the opposite direction. That’s not a “problem with democracy”, it’s a problem with “lack of democracy”. What Povitkina is describing is likely a problem with the dysfunctional ways in which so-called democracies aren’t actually democratic, they are instead beholden to a small number of powerful wealthy special interests and corporations. Well. America, say, is less of a democracy today. In that it greatly weakened the progressive income tax. Giving the rich more ways to 1) retain their advantage over others. And then 2) pass on their money, and therefore power, to undeserving, hereditary heirs. If Paine was arguing that we cannot guarantee the fitness of a hereditary ruler, he was missing the point. The big problem with undemocratic rule is not its likelihood of producing tyrannies. Tyrants can win elections easily enough. But once a tyrant acquires power, without democracy there is no way aside from violence to put him out of power. Trump can demonstrate a dictatorial temperament but he is still limited by institutions from becoming a dictator or tyrant. In a real tyranny a president could have outspoken opponents assassinated or jailed on trumped up charges and have key law enforcement and military offices enable him to do that. In other countries a nuisance like Trump might be overthrown by a military coup — theoretically possible in the United States but in present circumstances extremely unlikely for a host of reasons. That’s where the tyrants come from: a leader gaining the backing of the military power or being put in place by the military while democratic institutions are shut down — usually “temporarily” until the military is confident that the right people will be elected in future. The right people = those who will open doors to $$$$$ through cordial ties to the “right businesses”. I’ll grant there is no legal way for Trump to become a dictator. But then, Hitler’s assumption of dictatorial power was not entirely consistent with the Weimar Constitution, either, if I correctly understand Wikipedia’s article on it. But there is a way in the event of a nuclear detonation. In our world, there will only be triumph and self-abasement. Everything else, we shall destroy. The past is forbidden. Why? Because when we can cut man from his own past, then we can cut him from his family, his children, other men. There is no loyalty, except loyalty to the Party. There is no love, except love of Big Brother. All competing pleasures, we will destroy. If you want a vision of the future, Winston, imagine a boot stamping on a human face—forever. I see that yet again, “historian” has been removed per: Carrier (born December 1, 1969) is an American historian, atheist activist, author, public speaker and blogger. @“Richard Carrier”. Wikipedia. 8 February 2019. But the United States has long been ruled by elites through very sophisticated propaganda. There is no need for a Hitler style takeover. Trump can serve as a useful distraction and propaganda agent within existing institutions. Being chancellor didn’t make him dictator. After taking office, he effectively nullified the constitution by what amounted to an unlawful executive order. Why not allow both. It is not so entirely easy for tyrants to become president. Since that takes Money. Therefore, 1) monetary rules that favor the rich, increase the likelihood of an idiot coming to power. Though, granted, 2) if monetary law fails, then it is true that democracy is ALSO needed in the second step: taking democratic and legal measures to restrain or remove an idiot tyrant. Under any system of government, wealthy people will have advantages over poor people. No rule, monetary or other, is required to make that happen, and no rule can prevent it from happening. Some sensible rules, though, can minimize the extent to which the wealthy can use their advantages to subvert the political process. A very important recent example, was Trump’s consideration of the Inheritance Tax. Though you might expect Trump to try to eliminate the “death tax” entirely, we made precisely the argument that this would set up an hereditary monied class, or aristocracy, in America. We explicitly argued that this was contrary to “democracy.” And oddly enough, even Trump accepted this, or cited it. Evidently, preserving “democracy” still had an important, even conservatively patriotic sound, even to conservatives. And even to Trump. Change is possible. If there can be sufficient public support for those candidates actively working towards changing laws regarding lobbying and political donations — supported by activist campaigns designed to put real costs on those standing in the way of change. A big battlefront is the propaganda war. The current power interests with the most wealth will of course ramp up campaigns to associate such moves with “socialism”, “mob rule”, etc. The other side needs to be just as energetic and creative in exposing the fraud of that message and in promoting the alternative and “real democracy”. It’s not an easy option. Those with most to lose have the power and motive to get very dirty.